TCA celebrates the 93rd anniversary of the Treaty of Lausanne, which recognized the boundaries of the modern state of Turkey. This international treaty was signed on July 24, 1923 and shortly thereafter, the Republic of Turkey was proclaimed on October 29. 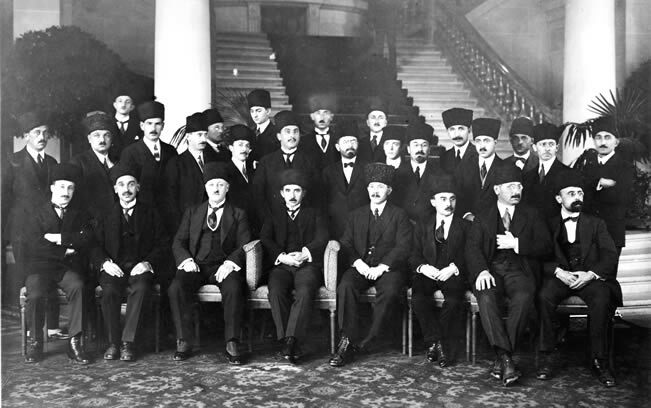 The Turkish delegation to Lausanne was led by Ismet Inonu, the victorious commander of the final battles that led to the peace negotiations. Countries represented at the peace talks included Britain, France, Italy, Japan, Greece, Romania and Serbo-Croatia. Russia, Belgium and Portugal entered the treaty negotiations at later stages to discuss the status of the Turkish straits and financial matters concerning the defunct Ottoman Empire. The Unites States attended the treaty negotiations as an observer. The Turkish War of National Liberation, fought against the most powerful imperial states of the time, culminated in a military and diplomatic victory for the Turkish people who achieved full independence and sovereignty at Lausanne. For man years to come, this victory would serve as a source of inspiration for several nations in their struggles against Western imperialism and independence.